Adjunct Professor Randle Pollard, tax director at CliftonLarsonAllen, teaching Business Entities. Business Bootcamp students at the program's reception, Thursday, Jan. 4. Adjunct Professor Randle Pollard, tax director at CliftonLarsonAllen, led the Thursday afternoon section on Business Entities (pictured above). His session included common business entities and general business form vocabulary. 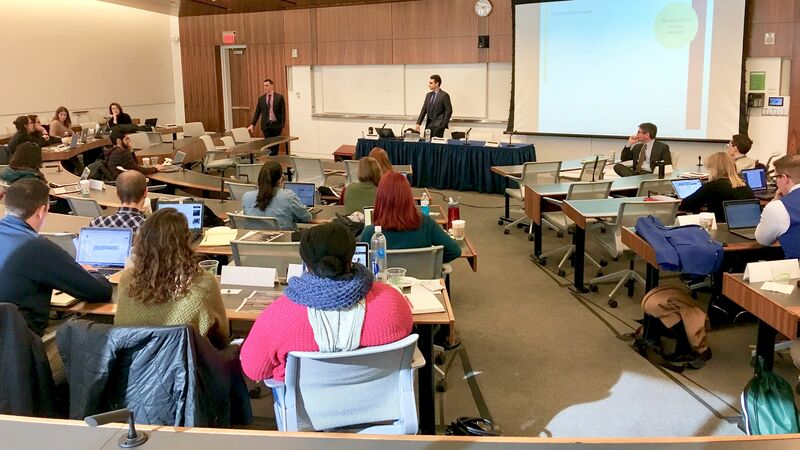 AUWCL alumni from PricewaterhouseCoopers, Tim Shields ’10 and Justin Cinzano ’10, teach a session on Accounting. Friday morning’s session on Accounting was led by two AUWCL alumni from PricewaterhouseCoopers, Tim Shields ’10 and Justin Cinzano ’10. 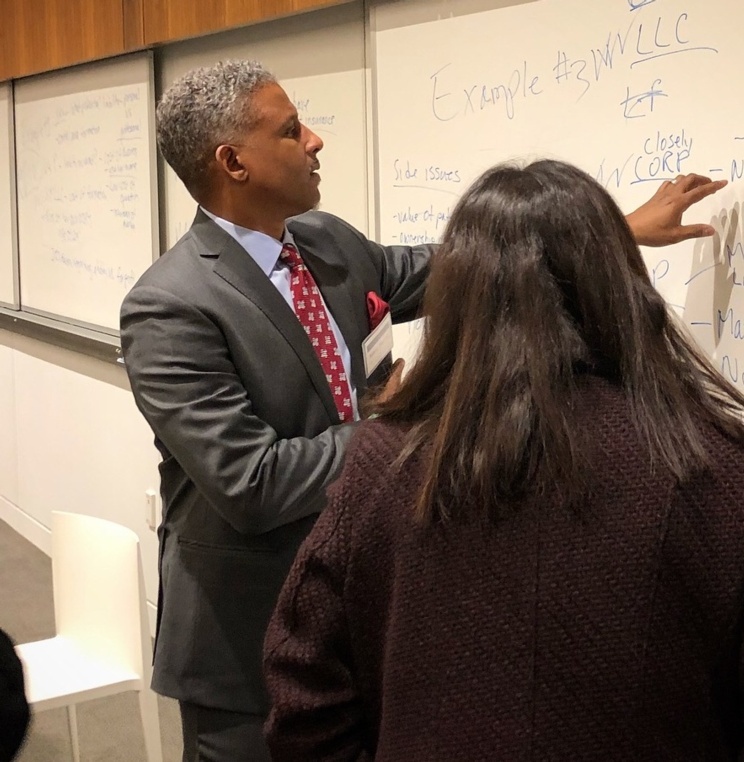 Professor Leff led an Introduction to Financial Markets and Professor Heather Hughes gave the participants a complete rundown of the Business Law options at AUWCL. 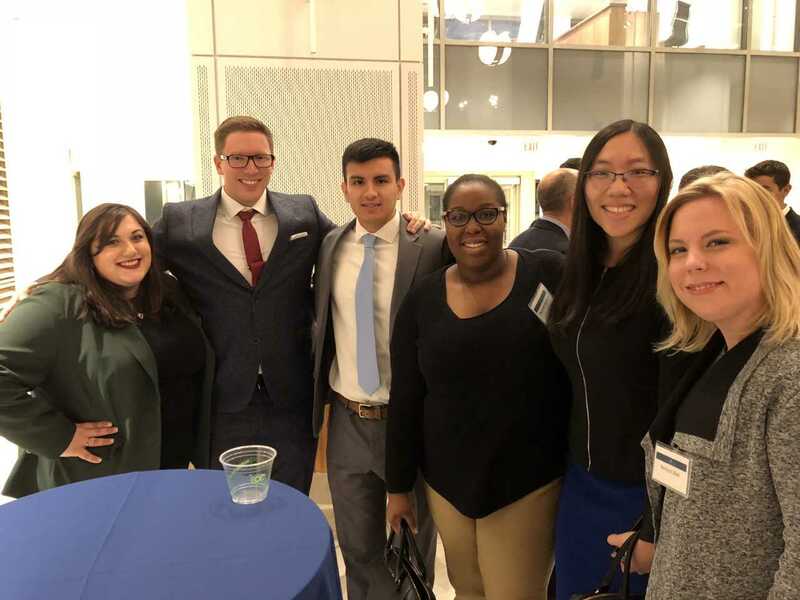 In addition to AUWCL students, several students admitted for the fall 2018 JD class also participated in the course.